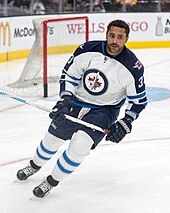 Dustin Byfuglien with the Jets in the 2015���16 season. The Jets signed Byfuglien to a five-year extension in the 2015 off-season. 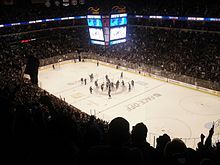 ^ Mirtle, James (2011-07-14). "Jets take several Thrashers staffers with them". The Globe and Mail. Retrieved 2018-09-30.